Positive: Excellent display; good speakers. Negative: VGA card onboard. Model: The Pavilion lineup of HP aims at bringing affordable multimedia notebooks, which are not only suitable not for work, but also for entertainment, to the table. 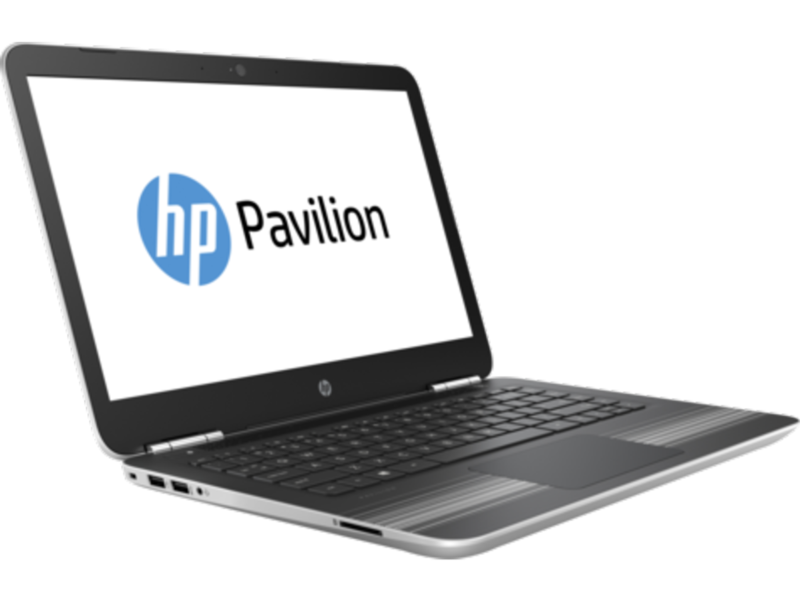 With the Pavilion 14, HP makes for a compelling value for a low price. Hence, it is unsurprising that it does not come with an aluminum frame. Despite the main material used for its construction is plastic, it is not a bad design altogether. It still boasts a durable and compact built, but adding all of its components the laptop only weighs in at 1.7 kg and is up to 19 mm of thick. Overall, the size of the Pavilion 14 is manageable and can easily fit into most bags. A pair of chrome-covered hinges not only keeps the screen firmly in place but also gives it a touch of premium appearance. The Pavilion 14 sports a glossy 14-inch display with Full HD resolution (1920 x 1080 pixels) and a pixel density of 157 PPI. It is evident that high resolution and color accuracy were not considered important in this variant. Yet, the display is more than sufficient for a typical budget laptop to watch videos, surf the Internet and other daily tasks. Resting above the display is an HP Wide Vision HD webcam with a resolution of 0.9 megapixels. It is accompanied by a dual array digital microphone that promises excellent voice quality for video conferencing. The Pavilion 14 also has a full-sized island-style keyboard that is well-spaced and quite pleasant to use compared to other mid-range devices. There is nothing to grumble over either, as the keys are not too springy or hard. The Clickpad is also pretty standard fare. It is spacious, has a smooth surface and does its job adequately. The Pavilion 14 uses an Intel Core i3-6100U dual core processor with a base clock of 2.3 GHz, delivering fast performance and impressive speed. The Pavilion 14 also comes equipped with a 128 GB M.2 SSD hard drive, complemented with 6 GB of RAM. 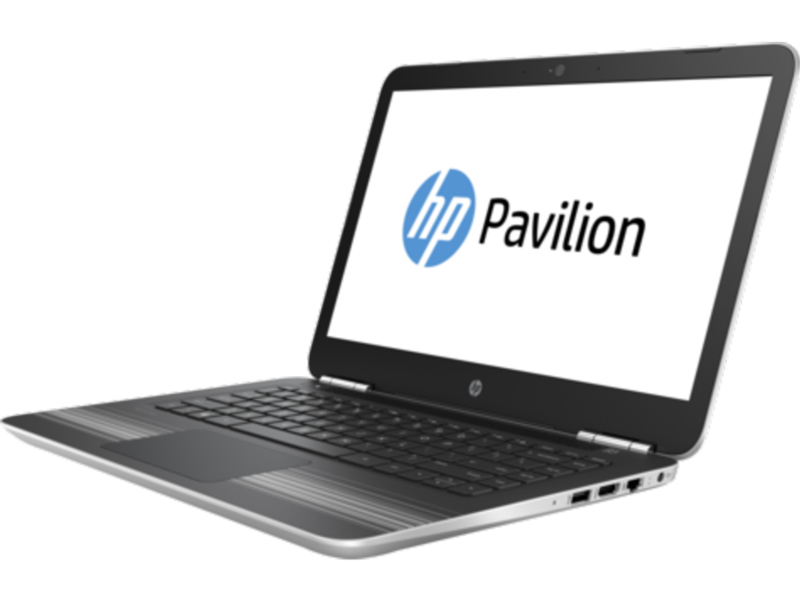 According to HP, the Pavilion 14 achieves a battery life of about 10 hours with its 3-cell 41 Wh lithium-ion battery. On the connectivity front, the Pavilion 14 comes with one HDMI port, one USB 2 port, two USB 3 ports, an SD card reader, and an audio jack. The inclusion of a USB 2 port is rather disappointing as it is supposed to be a mid-range laptop and many other manufacturers have started moving to all USB 3 ports on these kind of devices. Some even include a USB Type-C port. However, this is only a minor set back. 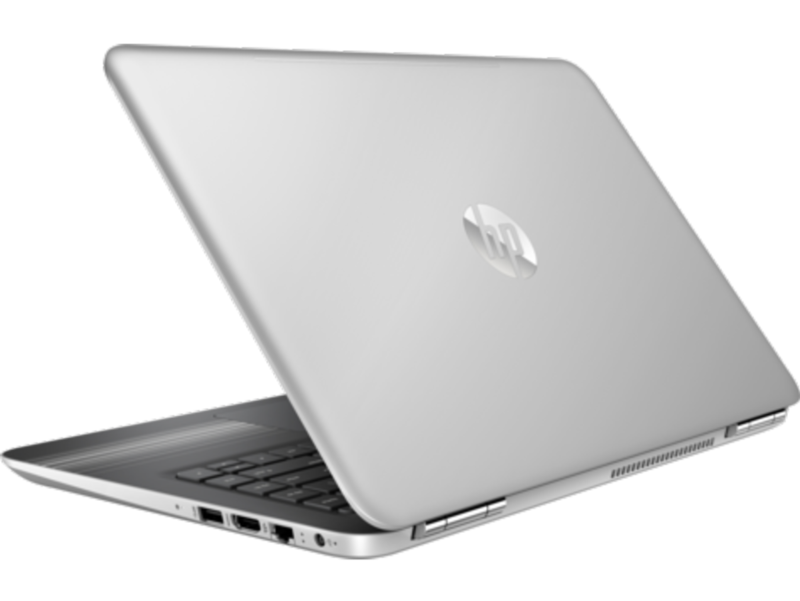 The HP Pavilion 14-AI008Ur is still a solid device for its asking price. 6100U: Skylake-based ULV dual-core processor for thin notebooks and ultrabooks. Offers an integrated HD Graphics 520 GPU and is manufactured in 14 nm.» Further information can be found in our Comparison of Mobile Processsors.